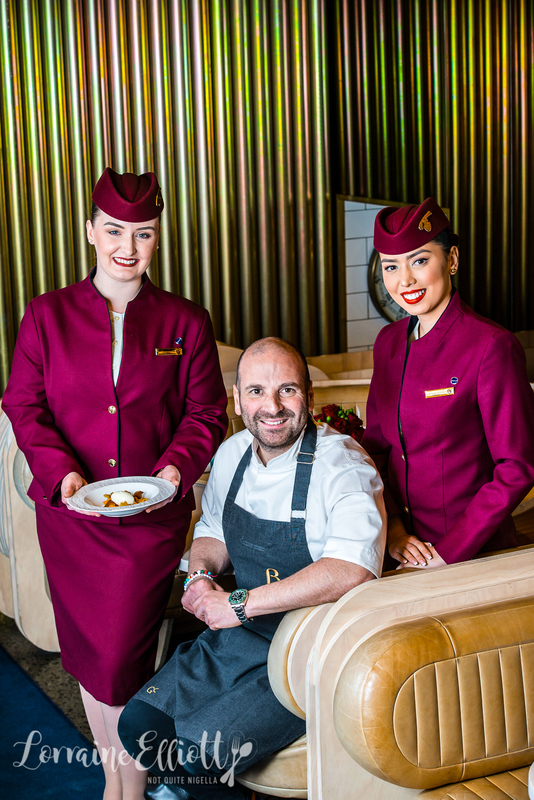 Qatar Airways has extended their collaboration with MasterChef's George Calombaris and the new menu rolls out from today onwards. Passengers in all classes travelling out of five ports in Australia will get a taste of Hellenic style Greek dishes. So what is on the menu? "There's all these things that happen to us when we're high in the sky and food changes when we're that high," says George Calombaris, "Salt levels drop dramatically...Our sinuses block up, I wish we could nose douche you before we feed you because you'll be able to taste better." It was his friend Heston Blumenthal's research into food in the air that formed the basis for the airline menu. "What we wanted to do was understand those impacts but not change the food by adding more salt because when you get off the flight I don't want you to feel "Ugh that was too much". 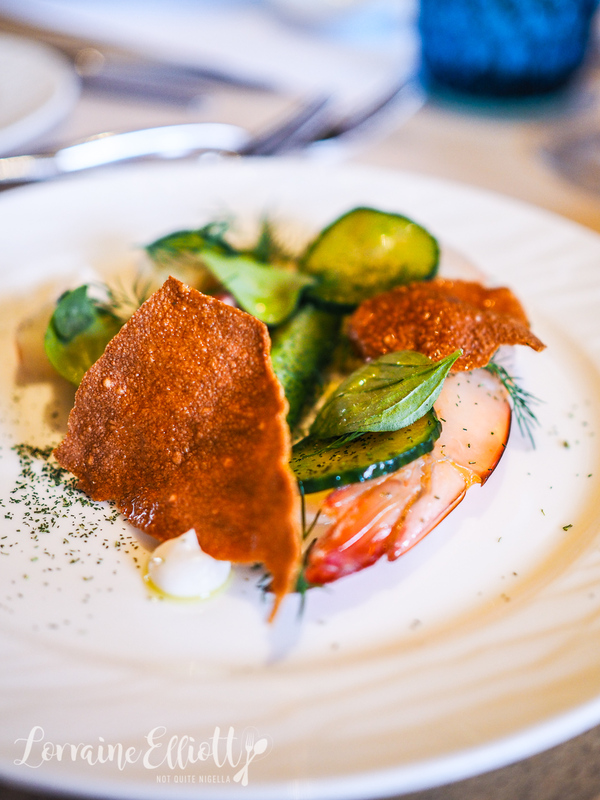 It's always a challenge to convert restaurant food into the air. Or as he puts it, to put a slow food mentality with a fast food situation. 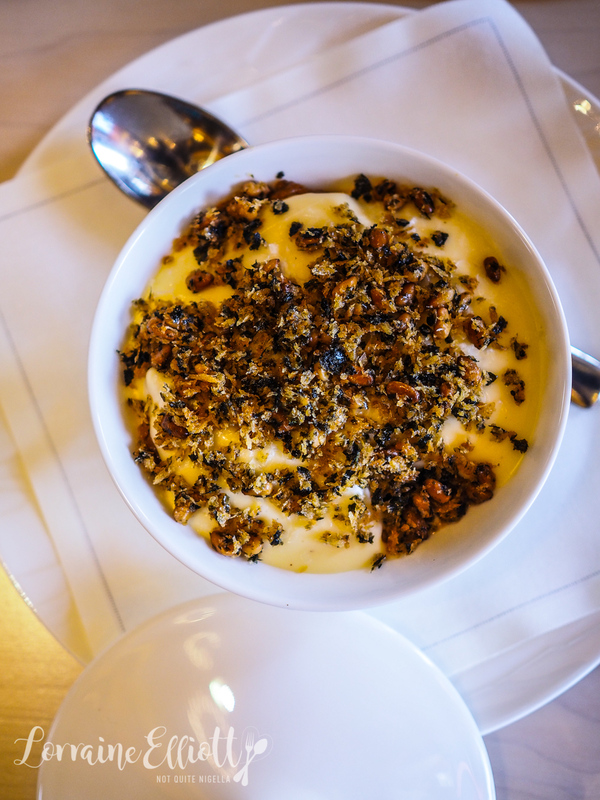 He and his Press Club executive chef Reuben Davis went on board and flew a leg from Melbourne to Dohar testing and checking on what worked best in the plane ovens and what happened to certain dishes when they had been sitting for 8 hours in a container. "The other thing we thought about was eating pleasure. Having flown a lot and having flown with other airlines there are certain things that I don't want to eat. I don't want to eat a steak on an aeroplane where I know it's going to be overcooked because they're not like ovens that we've got in here (in the Press Club restaurant). There's a lot of stuff to think abut. Also I don't want to sit there with 50 million pieces of cutlery," he says. The menus have a focus on Australian produce with Mooloolaba prawns, Fraser Island crab, Cape Grim beef and mandarins from Trentham. 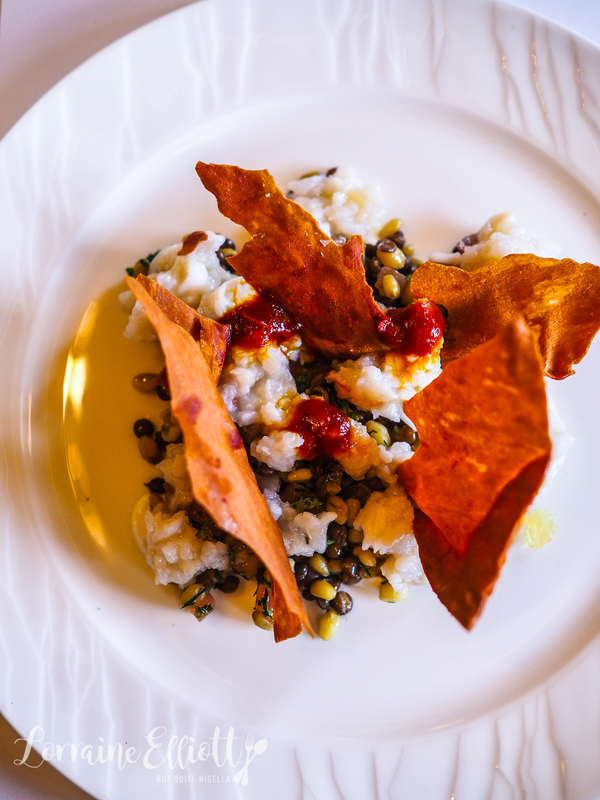 At a tasting (on the ground at the Press Club in Melbourne) we tried the Fraser Island crab with lemon marmalade and lentil tabbouleh, a refreshing mix of rich crab and tangy sweet lemon marmalade. 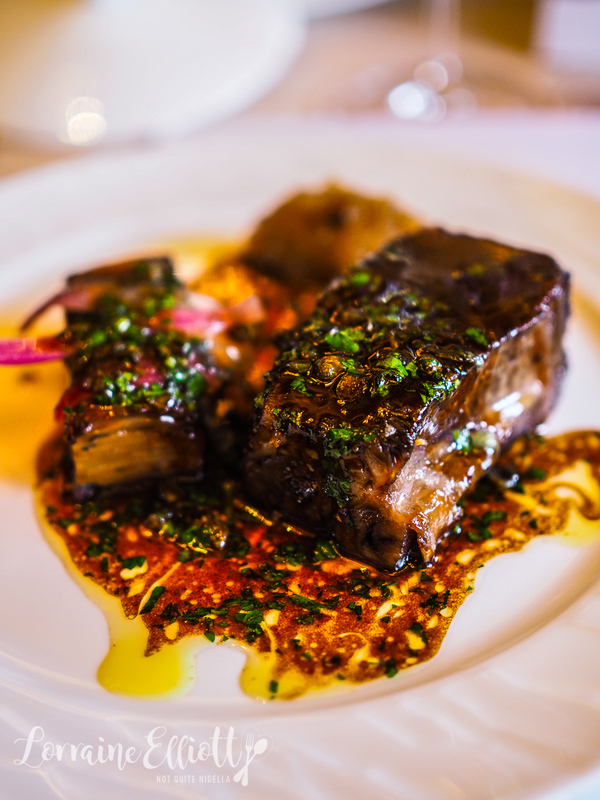 We also tried the Basturma beef short rib with a quennelle of soft onions and potto a la Creque, a comforting and rich dish. The main menu leans heavily toward comfort dishes like the lamb moussaka (a dish that is so time consuming to make). In the moussaka there is slow cooked lamb shoulder, layers of potato and bechamel served in a fine bone china lidded pot. 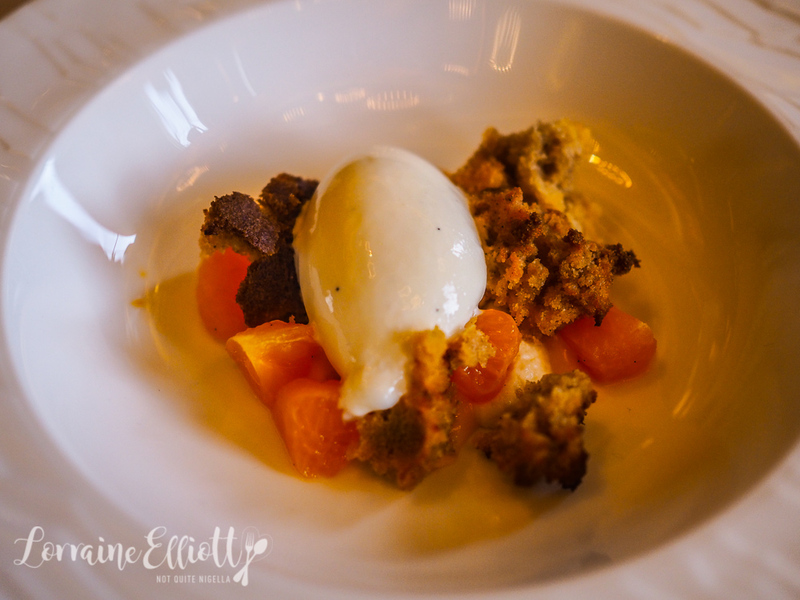 The mandarin baklava is a deconstructed one with a baklava cake served with mandarin segments as well as a markedly salty yogurt ice cream. The on board wine list sees a 2006 Krug being poured. There are also a selection of premium and award winning wines from Villa Maria Sauvignon Blanc 2015, Elderton Command Shiraz 2008 and Kilikanoon Killerman's Shiraz 2015 although George doesn't have any involvement with the wine side. While most chef collaborations happen in the pointy end of the plane, a couple of his items will reach economy passengers. "I want to be able to touch everyone with something in economy I've been fortunate enough to fly every class and you get a good understanding of what people want." There are two items so far for economy to be rolled out over before the end of the year. 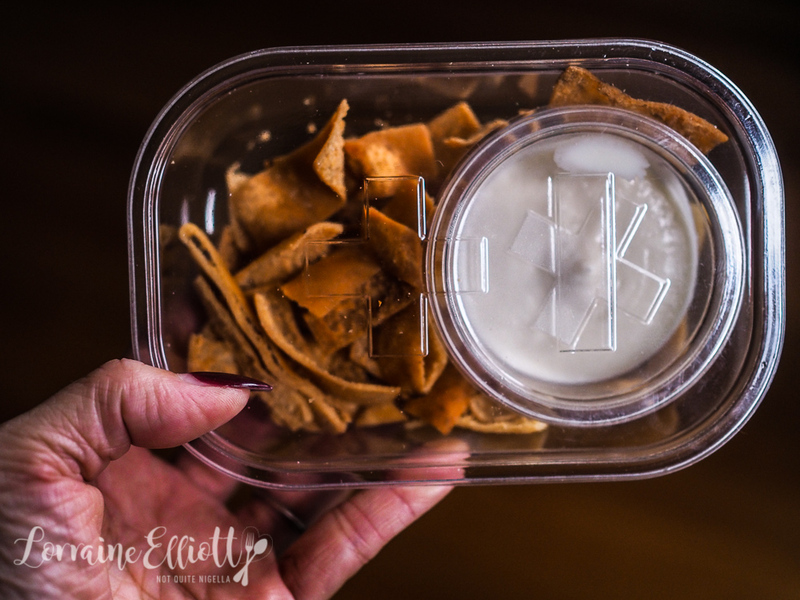 The first thing will be his frozen yogurt range Yochi for everyone in economy and secondly there is the creamy white tarama with pita crispbread. 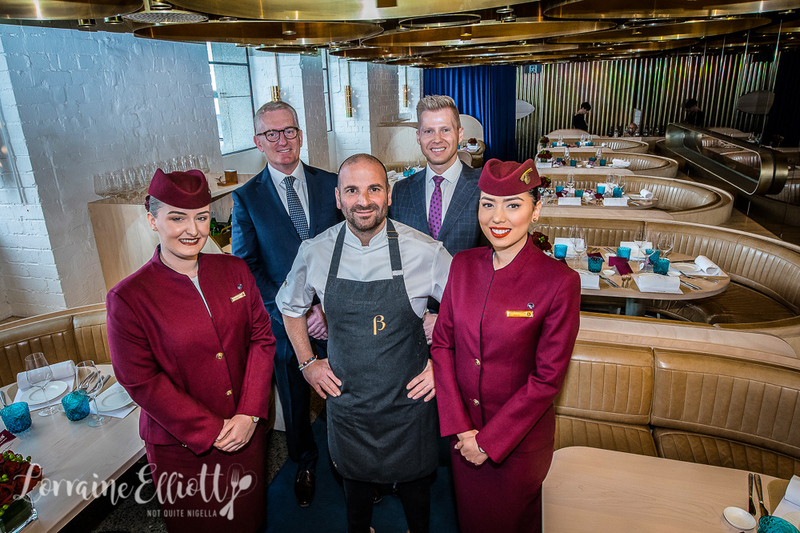 "I don't care if you're flying economy or first we give people an experience and something where they open that up and go 'Oh yum that's bloody delicious,' so rather than me trying to do this fancy dish it will be more unctuous and homely. We're playing with lots of ideas that are nostalgic." They are also working on popcorn for economy flavoured with chicken salt but no msg or chicken. And while it's all very nice to try this in a very controlled situation like The Press Club restaurant, having the food 30,000 feet in the air is another thing altogether. "We have to understand that food gets done in a contemporary but very tight kitchen where everything has got to be super clean and super accurate but obviously not by my chefs. Then from there it's got to get to the plane, then from there it's got to get to the plate by the staff on Qatar. We've put a lot of thoughtfulness into the way things are done so that there is no room for error. Error is the thing that were constantly thinking about," says George. 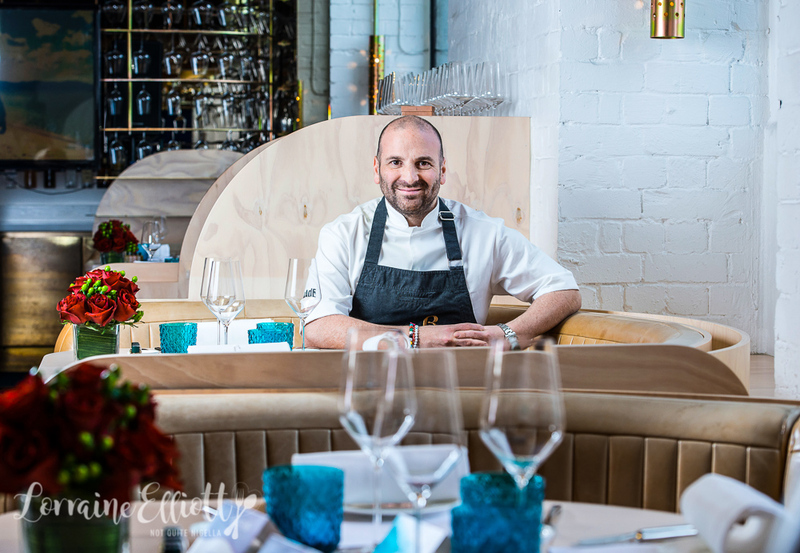 So tell me Dear Reader, are you a fan of George Calombaris? 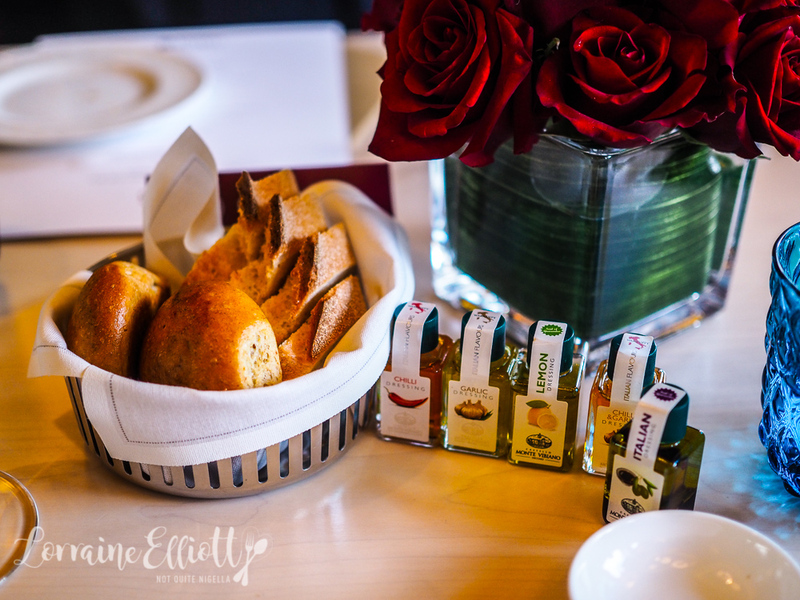 Does the food sway your decision when choosing an airline? The new business and first class menus will be flying out of Sydney from the 1st of September, 2018 and Melbourne from the 1st of October, 2018 with three more ports to follow.